Are you looking for a fast loading blogger theme? if yes so don't forget to try Neckel which is so fast in speed factor as well as for SEO. This amazing theme is officially designed by team TemplateSilk by keeping intend the main speed factor which is 70% important for search ranking in google search engine. Without taking your precious time, I would like to highlight some important features of this simple but speedy blogger theme. This theme loads under 1 second and it's premium version loads under 600ms which is a wow indication for all SEO lovers. Neckel is totally Ultra Responsive for all mobile devices with updated mobile-friendly tags. SEO Friendly with updated Schema and meta tags. SMO Friendly with updated twitter and facebook plugin cards. Advertisement Friendly with high CTR rate ad positions. RTL (Right To Left) languages compatible. Premium Shortcode Compatible for both FREE and PREMIUM versions. Has a Powerful layout custom Admin Panel. Premium In-post area to increase the writing love for writers. Pro look Related Post area. Neckel is fully customizable as well, it means now you can change the logo, colors, fonts through some simple clicks. And the simple and fresh UI of this theme will surely decrease the bounce rate of your blog. 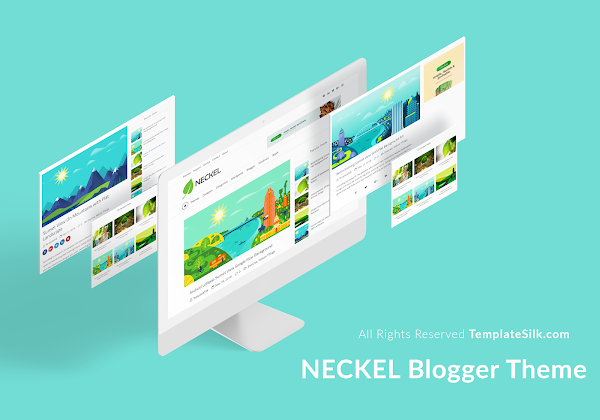 I will recommend this theme to all blogger fellows and readers who believe in the Speed factor and if you want to enjoy the more fast loading speed with premium SEO so feel free to purchase this amazing blogger theme Neckel.